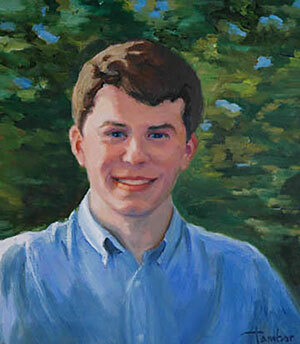 A custom oil portrait is the most personal, enduring gift one can give or receive. 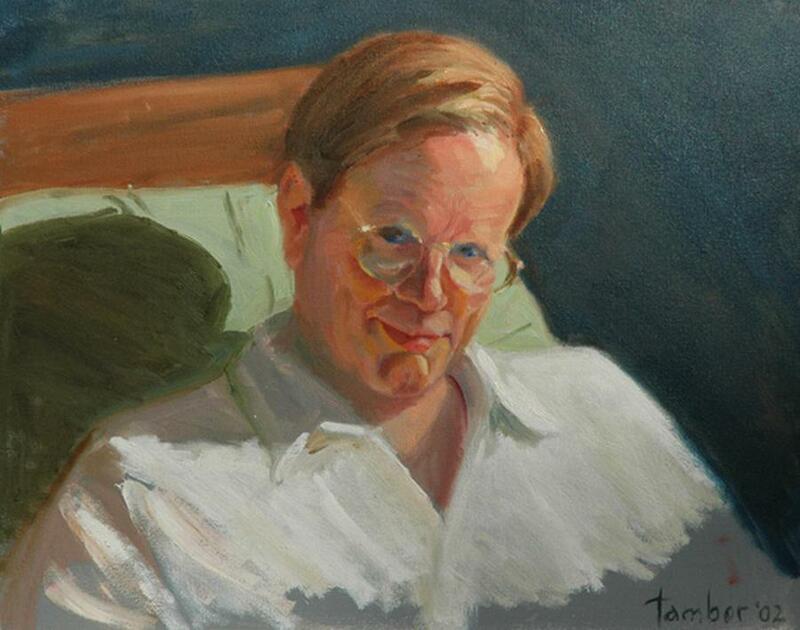 For over fifteen years, I have been specializing in oil portraiture—the most satisfying genre for me. When I present a portrait, the resulting emotions are wonderful: surprise, wonder, wistfulness and pure joy. Many people find themselves in tears when they receive a permanent reminder of those they love, or of themselves. Nothing could be more satisfying for me than portraying happiness through my oil portraits. To celebrate all the big events in life, a portrait is the perfect, constant reminder. For a child’s birth, first steps, graduation, marriage—nothing could be more delightful than marking those times with a custom portrait. 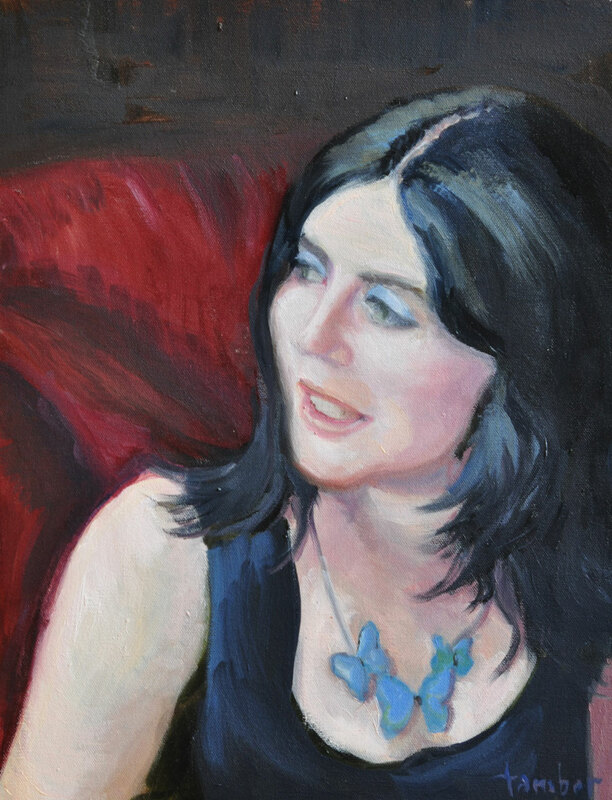 And to memorialize the people who are no longer with us, a painted portrait is a timeless reminder of the loving, supportive relationships we have known. Custom portraits can be done with photographs—either those I take, or those given to me. 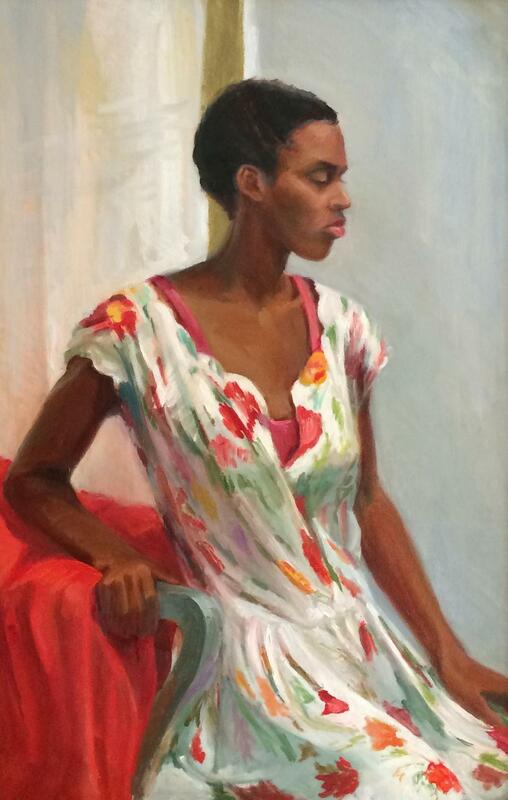 Anyone who would prefer to sit for his portrait could either come to my Manhattan studio, or I could go to their home. The process is simple. I need about an hour to take the photos, talk to the subjects, and make sure I feel a connection that I can translate into my painting. I then present a sketch to have the composition approved, and to talk about colors. 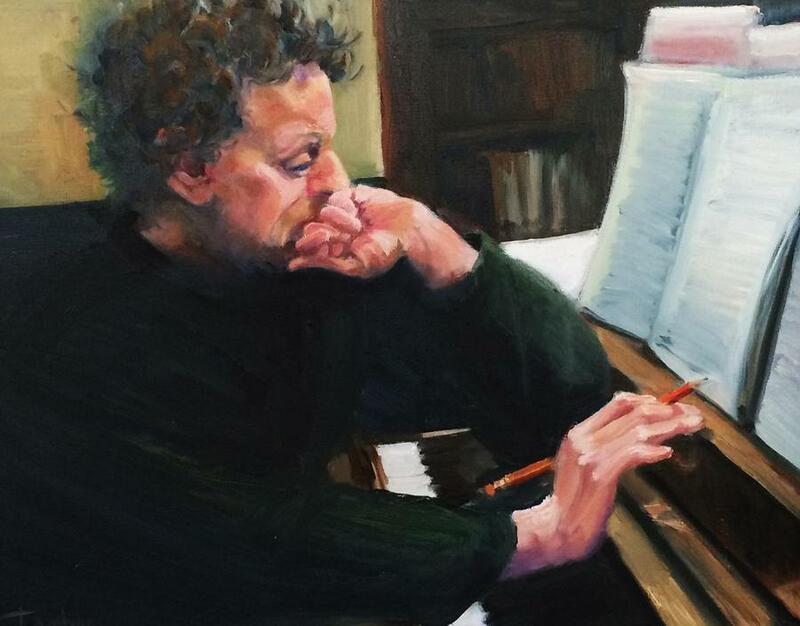 Within several weeks to two months the portrait will be completed. Changes can be made even at this point. I want the recipient to be thoroughly delighted with the result, and I will do everything possible to please the client. 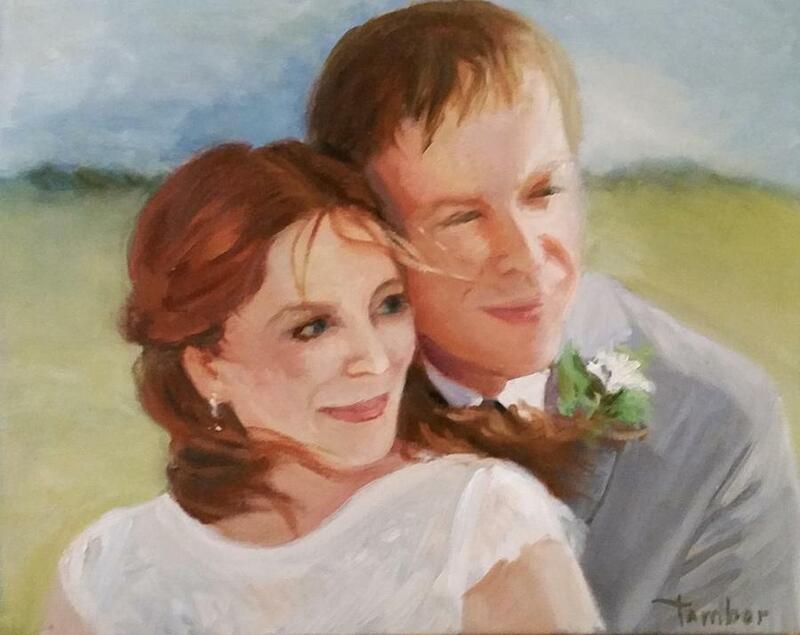 "Carol and I are thrilled with your dual portrait of our daughter and new son-in-law commemorating their wedding day! You have captured her beauty and his strength of character better than a photo ever could. You have somehow been able to reveal to the world the depth of feeling that they obviously have for each other. We have mounted your painting in a place of honor in our home. It has become a daily reminder of the happiness we experienced that day as parents." "I never thought it possible that a 4 x 6 photograph could be transformed into a painting, now hanging on my bedroom wall. I adore waking up and seeing this work of art, which I will cherish for years to come. Since the painting was done, my beloved dog, Tasha, passed away of old age. The painting captured the essence of our relationship. Every time I see our portrait, it brings a smile to my face. Thank you, Carol, for making it all so effortless." 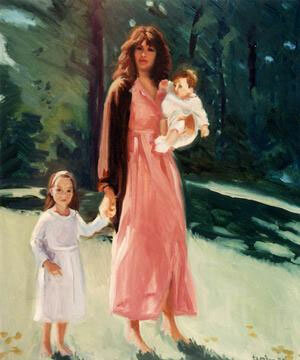 "Carol's portrait is at the heart of our home. With her intuitive grace, she was able to capture a sacred moment in my precious early months of motherhood. 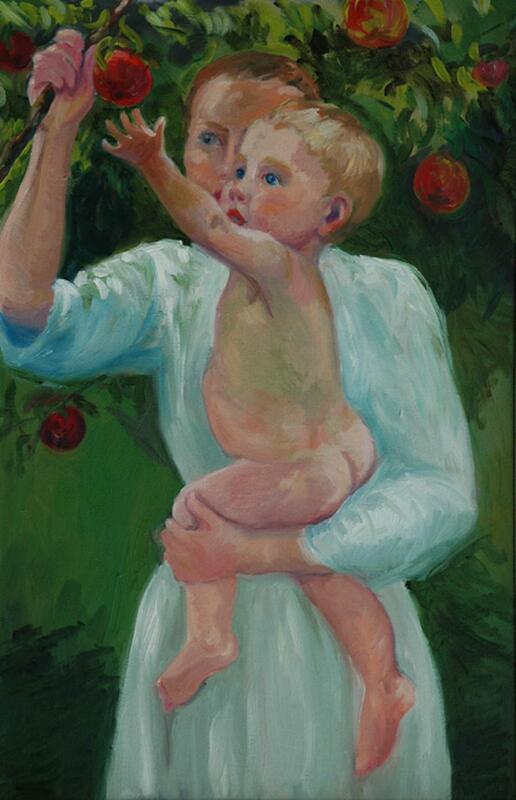 My daughter is seven years old now and over the years she has often asked about the painting. Indeed, the story of the painting has become a touchstone in our lives. 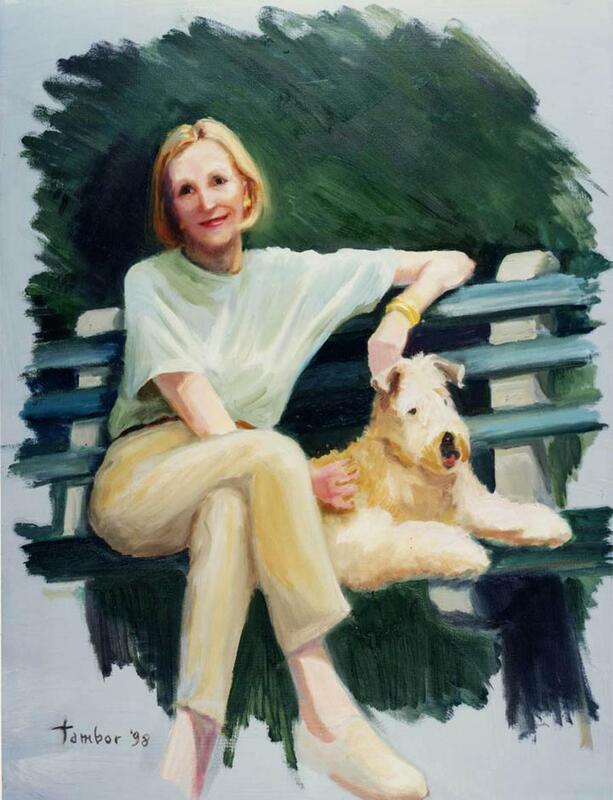 Carol’s portraits are not only beautiful works of art, they are family legacies, to be passed on for generations. She captures a window into a world that can fill you with wonder --- even at your own life." 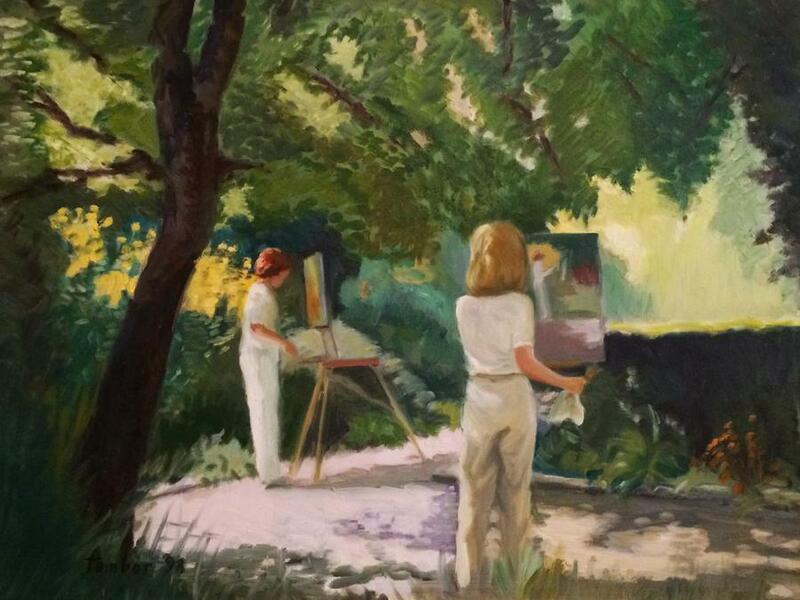 We set up an appointment to review your needs, look at my portfolio, or see paintings in person, if possible. If you are outside the New York area, you can call or e-mail me. Can you work with photographs? Yes. I can work with existing favorite photos, or I can take my own. I enjoy taking dozens of photos so that I am sure to get enough natural light, changes of expression, etc. For the photos, only about an hour is necessary. I can take dozens of images in about that time. Is it necessary to sit? No, it is not necessary because very few subjects seem to have the time, or desire, to sit for the entire process. If possible, I love to sketch my subject or, at least, correct coloration in the end. Each sitting can last from 1 to 3 hours. However, this can be done solely with photographs. Can I give a portrait as a gift? Yes. I can handwrite a card with my self portrait on one side and on the reverse a message such as "You have been given the gift of a custom portrait from ...." If you have a favorite photo of the recipient, I can present a preliminary sketch with the card. Do I see a sketch first? Yes. I do a preliminary sketch to show composition and expression, for your approval. Color choices are made at this time. If you approve the sketch, you pay 30% of the total price and you will receive the sketch as well as the painting. Please see "Prices" for all the details. You can expect a sketch within 2-3 weeks. If you have a deadline for a gift, I can often speed this up. After approval of the sketch, the painting can usually be completed in 1 month. Can you make any changes? Yes. You can request adaptation at no charge. 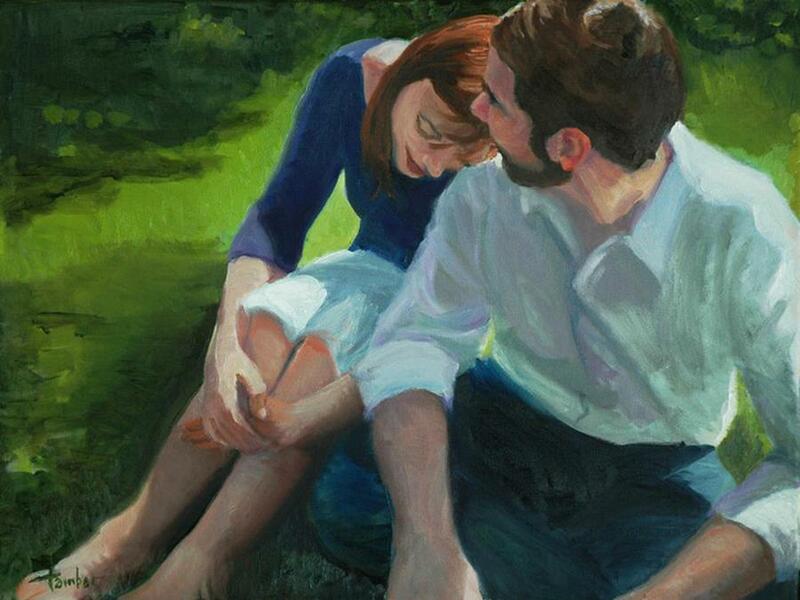 I want you to be deliriously happy with the painting and will work with you until you are. 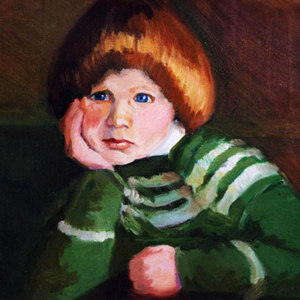 If, by any chance, you do not want the commissioned painting, there will be no further charge. 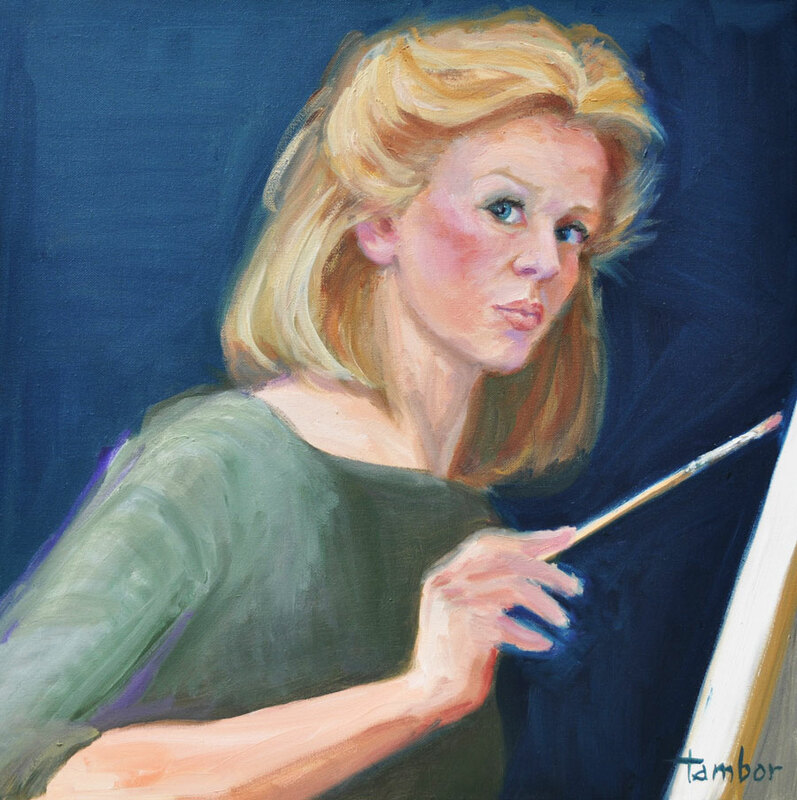 Carol Tambor is a traditional oil painter based in New York City. 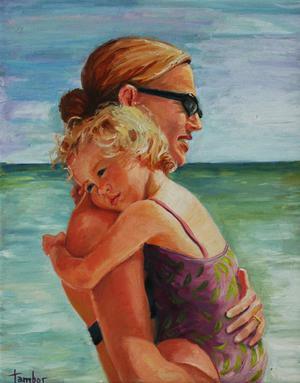 She has been painting most of her life and has specialized in portraits for the last fifteen years. 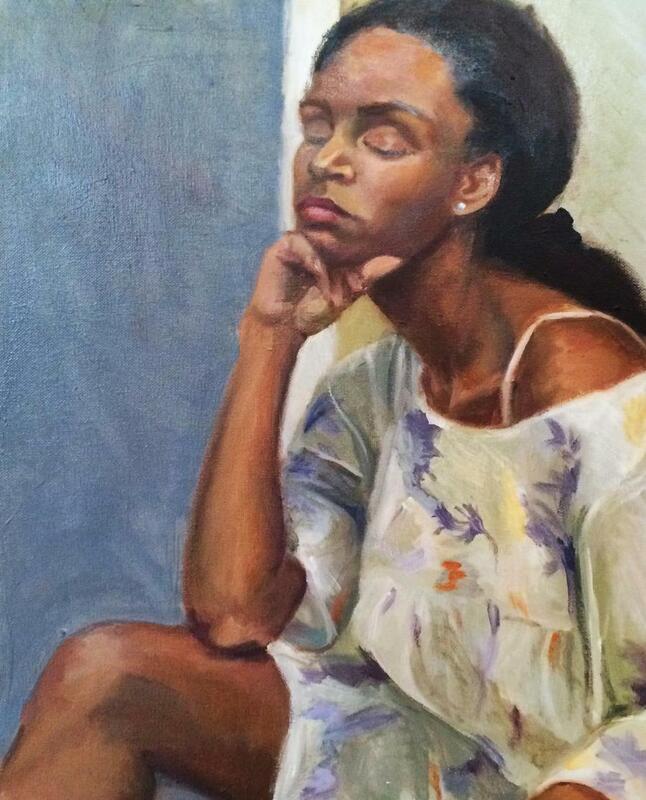 Clients may sit for a professional oil portrait at her New York studio or be photographed in a location of their choice. 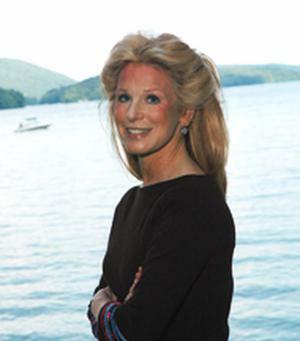 Carol Tambor specializes in Family Portraits, Children Portraits, Pet Portraits, Portraits from Photos etc. 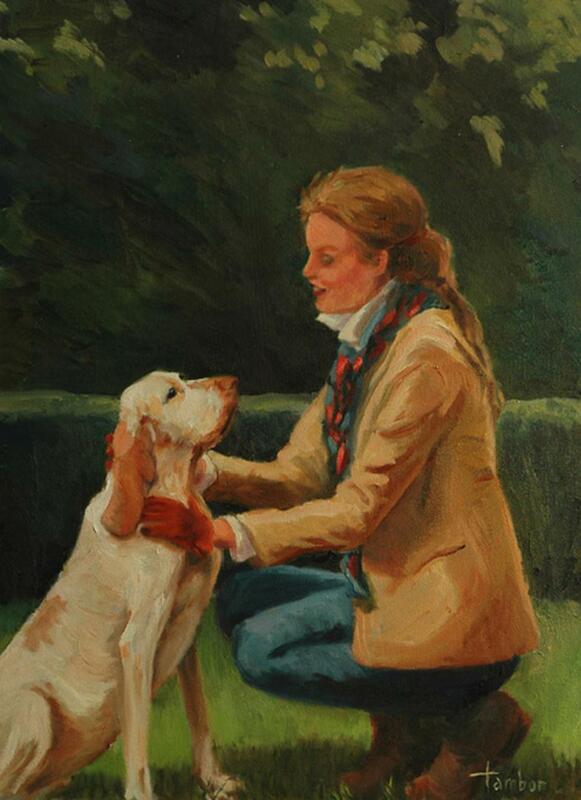 She is a talented portrait artist, still life artist, landscape artist and assuredly displays her art skills in her individual, family and pet portraits.